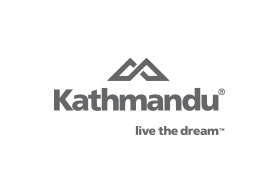 At Kathmandu Chadstone, we believe adventures are the stuff of life. Whether cycling around the park or trekking through the jungles, it all comes from a human desire to seek out new experiences. We aim to help people grow, to make that leap from feeling nervous about travelling overseas to loving every minute of it. With a huge range of outdoor gear, clothing and equipment, we outfit people with everything they need for their trip. Our products are known for their quality, reliability, ingenuity and versatility. Everything we do is about inspiring adventure. Because what is life, if not an adventure.